My First Download - and it's FREE!!!! Well I've gotten myself organized and I'm posting my first freebie download. I'm using the Teachers Pay Teachers service. 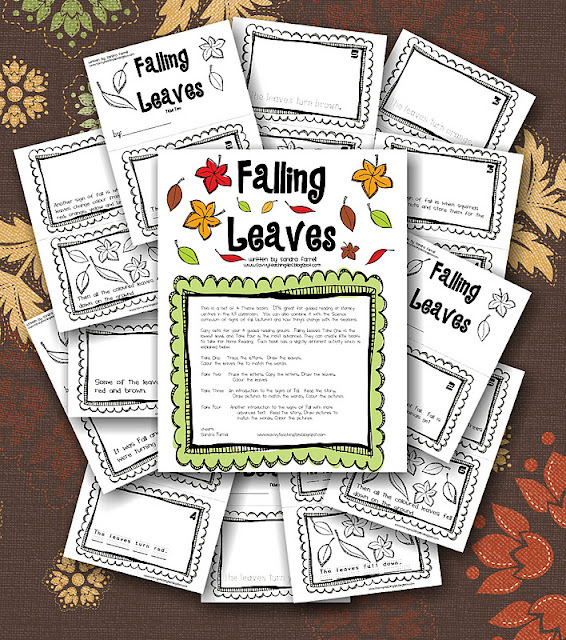 This little download has 4 mini books about falling leaves and signs of fall. It's perfect for your 4 levels of guided reading in a grade 1 class. The skills and objectives range from fine motor and tracing, to comprehension and higher level thinking skills. I hope you enjoy this little "puppy". Please, please, please leave me a comment and tell me what you think. I've been busy working on a few other units which I hope to post up tomorrow. I just blogged about your great new blog and product. Come check it out! I saw Jena's post and thought I'd check your block out. You've got some great ideas! I'm your newest follower! Very cute! Thanks for sharing! I'm a new follower too! You did a great job!! I love how you differentiated it to meet the needs of several learners. Thanks for the free download! Awesomesauce! 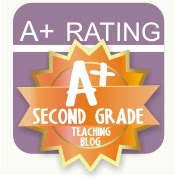 I'll be passing your blog link on to my teaching cohorts! So glad you're doing this, Sandra! Love your new blog Sandra, it is so needed! As a homeschool mom I am always searching the web for fun things. I am excited to have your blog as a new resource. Halloween Banner Facebook project and a Freebie! !